NEW PRODUCT! Adjustable Laser Mounting Stand « Adafruit Industries – Makers, hackers, artists, designers and engineers! NEW PRODUCT! 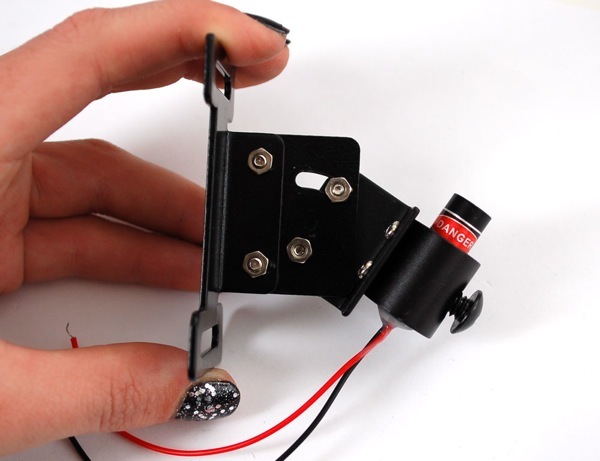 Adjustable Laser Mounting Stand: Use this nice adjustable laser mount to attach any of our laser diode modules to your desk, robot, shark, etc. A set-screw holds the laser in place. You can then adjust the tilt. Has a flat mounting plate with two slots for easy attachment and adjustment.